After figuring out the last house on Bayocean Spit to fall into the ocean, I began to wonder which was the first to succumb. The first clues arrived last month when I acquired a copy of the "Report on Beach Erosion Studies, Tillamook Bay, Oregon, With Reference To Bay Ocean [sic]", published by the US Army Corps of Engineers on August 26, 1940. On page 49 it says, "A total of 11 houses, 3 during the last winter, have either been wrecked or had to be moved since 1927..." The appendix included photos, including the one the left. 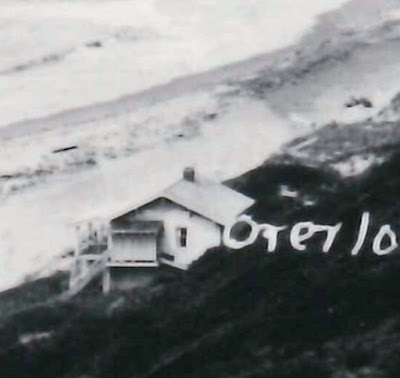 The caption read, "About 1928 - Looking north from the top of dune midpoint of spit. House in lower left destroyed by a storm the following winter." The Corps doesn't attribute the photo, but the perspective is very similar to one in the Donald Burkhart Collection at the Oregon Historical Society (Org Lot 371) dated August 19, 1928. The Corps photo reminded me of one I'd been trying to identify for a long time. It's labeled "Ackley 53" in Lorraine Eckhart's collection. A note on it says "home of M. Burns lots 6-7-8 block 61." This location matches the description in the Corps photo caption. 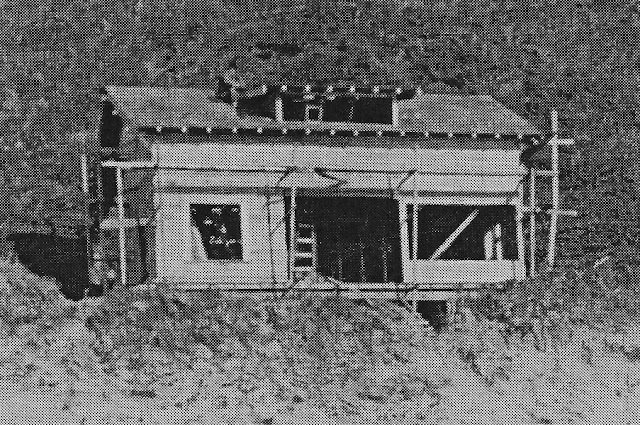 The Burns house was built right on the beach, like the natatorium: one just north, the other just south, of the Bayocean Hotel. Both were early casualties of the north jetty being constructed without a south jetty to match. Though similar in style, there are differences between the photos. The house in the Corps photo has a chimney, roof dormer, and side room not in Ackley's (this would have been Mig, who took many of the earliest ones). But the latter was obviously taken during construction, so could have been modified before completion or remodeled later. The other possibility is that the Burns house was close to the house in the Corps photo but swept to sea before the photo was taken. 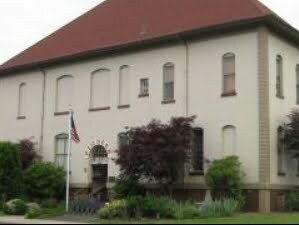 Next I looked at the Tillamook County deed books. They show that Mrs. Alberta M. Burns purchased lots 6-8 in block 61 on December 15, 1917, but lost them to foreclosure in 1936, having stopped paying taxes in 1928. The timing suggests the house was destroyed before tax bills were sent out in the fall of 1928, but it could be that the house was a lost cause by 1927 but didn't actually disappear until 1929. In any case, if they are not the same house, Burns' went first. Census records from Ancestry.com show that Alberta lived with her husband Elmer G. Burns and son Elbert in Portland. Elmer was a machinist, and did well enough to have his own shop in 1920; but they were likely not as wealthy as the Poulsens and others who built more extravagant summer homes on Bayocean. This may be why there was no media coverage of their home's demise. Or maybe no one knew it happened until much later. 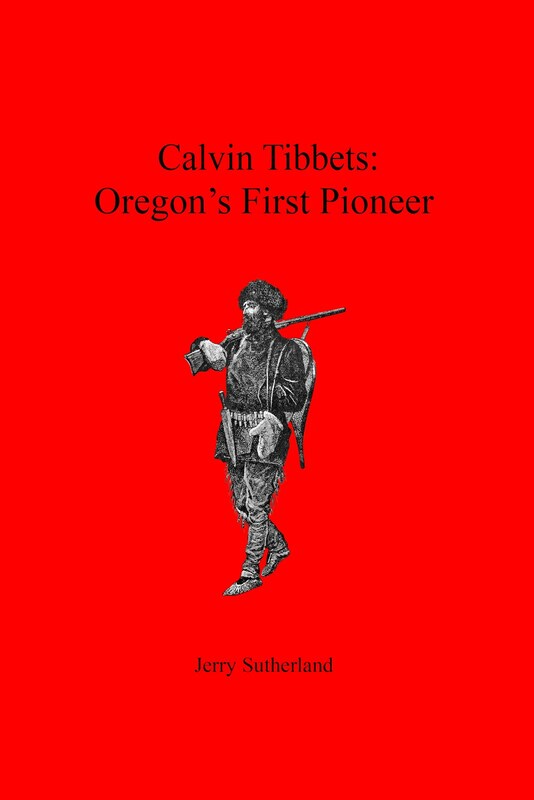 The Webbers said (Bayocean: The Oregon Town That Fell Into The Sea, p.78), "in at least one instance, a distant owner arrived on the spit to spend the summer but he couldn't find his house." In any case, I'm sure Alberta, Elmer, and Elbert loved their little cabin on the beach, and hated to loose it as much as anyone, perhaps more. By 1930 they had moved to California and Elmer was working in a steel plant in Los Angeles County.